The popularity of RVs and campers has been on a steady bounceback since its low point during the financial crisis and it’s a lot easier to find a buyer if you have a Bigfoot Camper for Sale. Less financial concerns is a pretty obvious reason, but new and innovative technology is also playing a considerable part in bringing back the motor home. 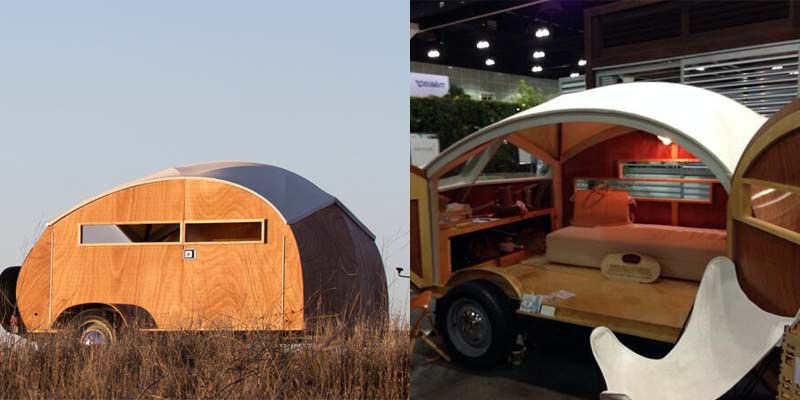 Here are some newer spasecship-like RV models taking camping into the future. 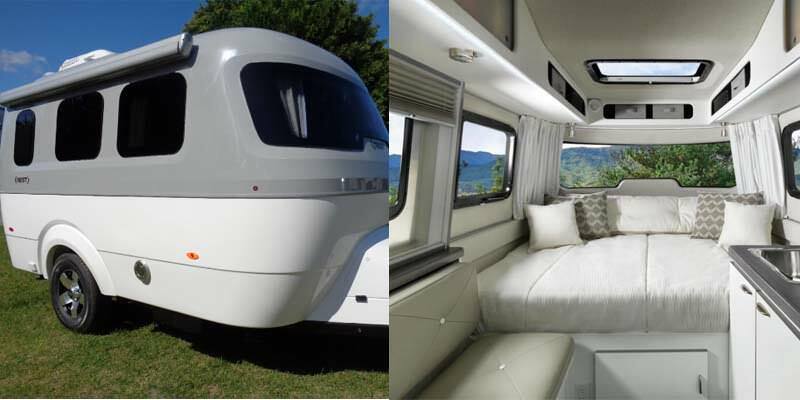 The AirStream Nest is the result of 89-year old trailer brand Airstream acquiring Nest Caravans in 2016. With its small 17-foot long and 3400 lb frame the trailer doesn’t require a lot of towing power, but still has enough room to house two with modern comforts like Bluetooth LED lighting, plenty of USB ports and a 3-D laminate kitchenette. The Huttle Hut‘s retro look makes it look unfit to be towed by anything other than a Morgan convertible, but outside of the look there is nothing retro about it. The combination of aircraft aluminum chasis with plywood paneling makes it one of the lightest campers you can buy, weighing only 850 lbs. It might even be too light for its own good with a lot of reviewers complaining that this lightness makes it too vulnerable to thieves and wildlife. The good old Volkswagen hippie bus is still going strong all these decades after the hippies made it famous. 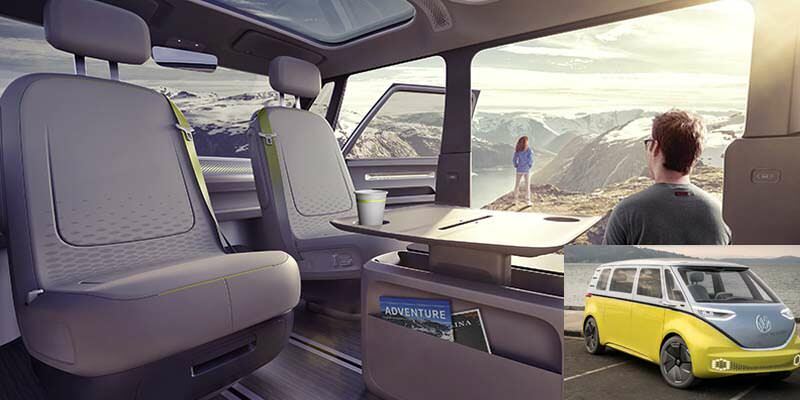 The Volkswagen ID BUZZ is fully electric with two engines that allow for all-wheel drive. The transformable interior seats can be turned inward for a living room-like setting, flattened into beds or even taken out completely. A sophisticated voice-activated navigation system helps Buzz owners find the best camping spots. 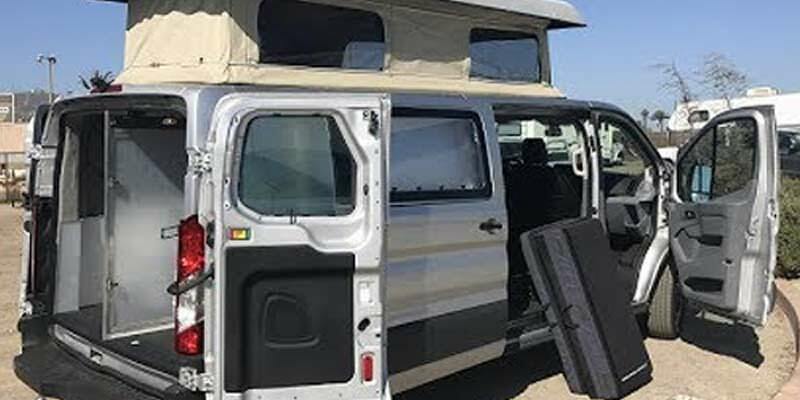 California-based ModVans has something for those who need some versatility. All of the CV1‘s RV components, can easily be removed to turn the vehicle into a cargo van. Even its walled-off bathroom section can be entirely disassembled for extra space. Other amenities include a refrigerator with its own battery that can power it for days, a stove, air conditioner, LED lighting and even a solar panel. 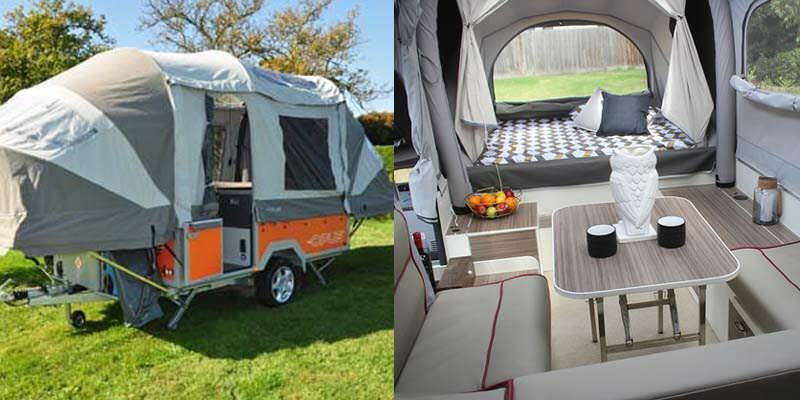 OPUS is an Australian company that makes tent trailers. What makes their product stand out is the fact that the tent doesn’t have to be set up with aluminum posts, but can instead be quickly and effortlessly be inflated with an electric pump and deflated for stowage and transport with a quick release valve. Fully inflated, the tent allows for 8 feet of vertical space and enough room for a large family.